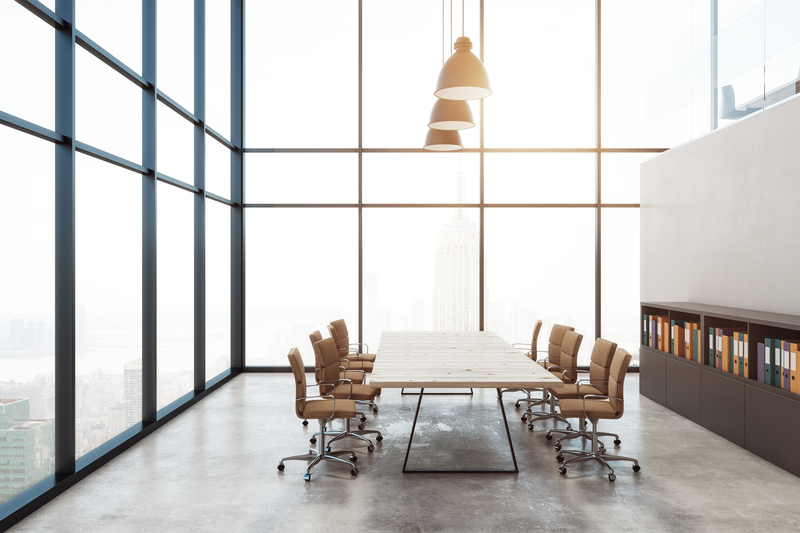 The boardroom is where innovative ideas are created, large-scale decisions are made and strategized, and also where important business relationships are established. 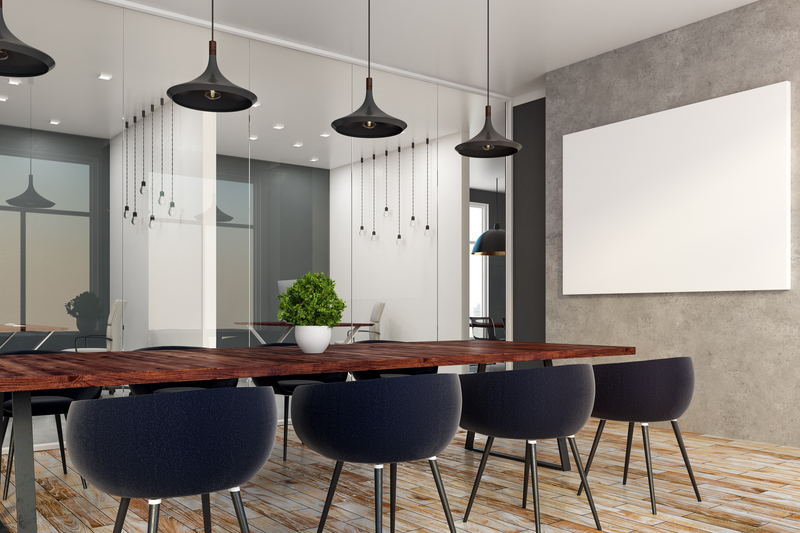 As it’s one of the most – if not the most – central parts of the office, it’s a good idea to plan the design carefully, ensuring that the room is not only functional and professional, but is also comforting and inviting. After all, if a boardroom is lacking in creative design and appears dull, employees are much less likely to feel inspired or motivated. 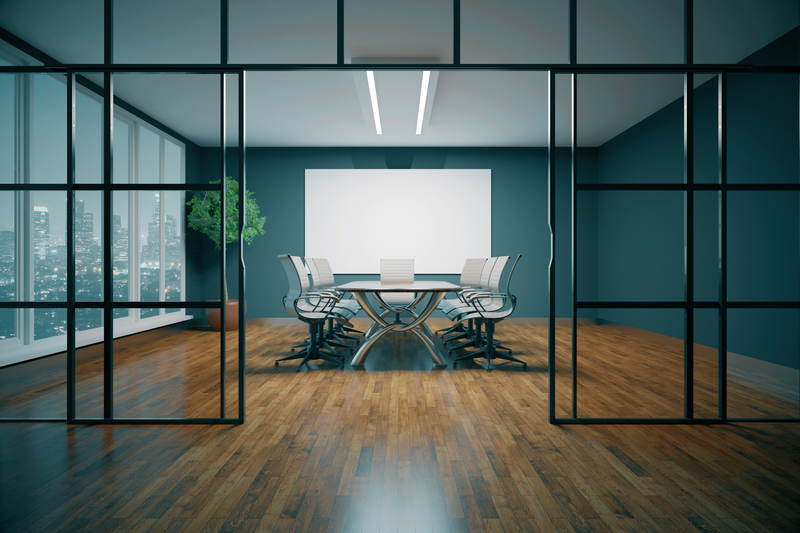 It’s also important to consider the fact that clients and business partners will spend a considerable amount of time in the boardroom, so creating a room that reflects your company’s brand culture and values will send you on the right way to impressing them. Choosing the right furniture should strike a balance between comfort and weight. Often, soft seating is heavy and difficult to manoeuvre. Ergonomic designs tend to tackle this issue, producing chairs that are both comfortable (usually with padding) and lightweight. Should employees/clients wish to adjust their positioning to watch a presentation, for example, they can easily shift their seat without a problem. The boardroom tends to be the place for long meetings, so comfort is equally as important. Arguably the most essential and central part of a boardroom is the table. When choosing a table size, consider the space needed for technology items and extra furniture – and also for moving around the office. Installing a table that fits the dimensions of the room but leaves no space for walking around or extra furniture will only make the room feel cramped. It’s also a good idea to be open to different table shapes. For businesses that like to encourage collaboration, a circular table is often a popular choice. Alternatively, for a highly formal and professional finish, many businesses opt for the long, rectangular tables. The colour scheme(s) you choose makes all the difference in boardroom design. Red stimulates brain activity whilst blue reduces stress and improves productivity. Alternatively, if you would prefer to paint the walls a more neutral colour, fitting interesting art pieces can be a good way to spark inspiration and creativity. 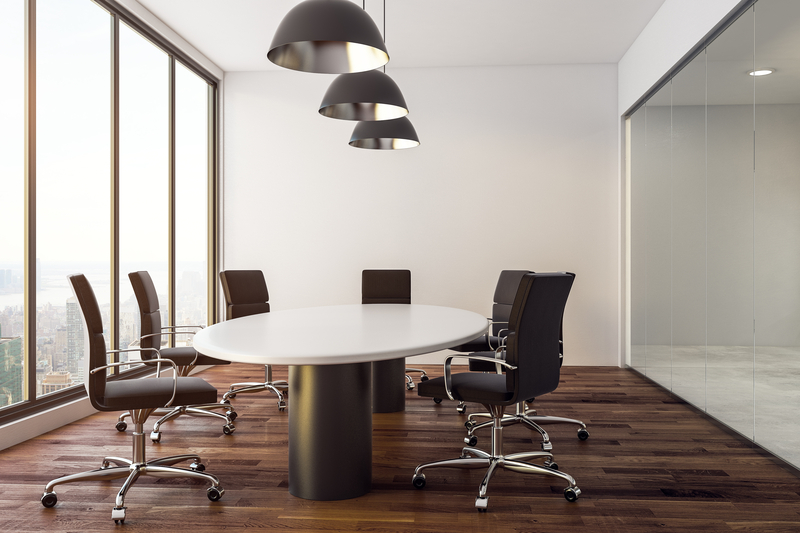 Lighting is also an essential consideration when designing a boardroom, since dim lighting can reduce productivity and motivation levels; whilst lighting that is too bright can cause headaches. It’s best to make the most of natural lighting, since this taps in to the body’s natural clock, stimulating and regulating natural energy levels. Consider installing windows wherever you can, with overhead lights for evening meetings. Modern day meetings are practically impossible to carry out without updated technology. It’s therefore important to plan wall space for HD screens, as well as installing tables fitted with cable ports – and, of course, fast Wi-Fi access. It’s also a great idea to place a bowl of fruit or bouquet of flowers on the table for personalisation and to create a welcoming atmosphere. Including some newsletters or brochures about your company that people can take away will ensure that your branding continues to take effect outside the boardroom. Ultimately, creating a boardroom that is professional, inspiring and welcoming is the goal to aim for. This way, you’ll appeal to employees, clients and business partners, hosting successful meetings that will benefit from creativity and motivation.